Technique is paramount for the enjoyment of cross-country skiing. Improve your foundation, whether you’ve been cross-country skiing for years or months, with focused instruction and training from professional and experienced ski coaches. Contact us for details and how to sign up. Participants provide their own gear and Tahoe XC trail pass. Must be 18 years or older. 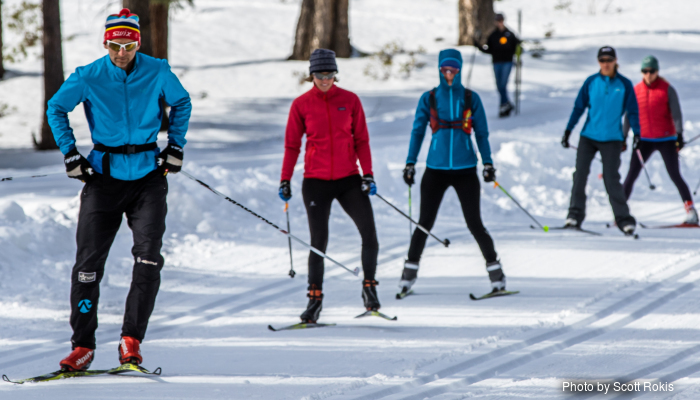 Join luminary Far West cross-country ski instructors to learn from the true pros!